​Review from Michael Diamond: “Although I haven’t had the pleasure until now to write about the music of composer/pianist Robin Spielberg, I’m quite familiar with her name from my being involved in the new age music genre for many years. She is considered among the premier neo-classical/new age solo piano artists and has quite an impressive history that expands into a number of different areas. Robin is a prolific composer with seventeen recordings under her name, as well as appearing on over 40 compilations. Her record sales exceed one million, and this official “Steinway Artist” has had three sold out performances at the legendary Carnegie Hall. In 2014, Robin was invited to give a TEDx TALK on music and wellness. 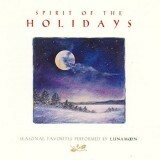 As the title of her latest CD release, “Another Time, Another Place” implies, the focus is on the nature of time. The album’s title track reveals the range and depth of Robin’s solo piano artistry with its intricate composition and elaborate detail. What stood out for me was her sense of dynamics throughout the piece, which ranges from quiet and delicate to bold and more ornate. My favorite parts were Robin’s rapidly repeating right hand arpeggios that gave a feeling of spinning through time and space like Alice tumbling head over heels down the rabbit hole into Wonderland. While Robin’s classical influences are evident here, a sweet and airy piece with a slightly Oriental air entitled “Cherry Blossom” leans more towards an impressionistic new age vibe and paints a diaphanous springtime portrait of light pink petals floating in the breeze. One of my favorite tracks was “The Time Traveler.” Like Robin, I am fascinated by this topic and I enjoyed drifting on the song’s dreamy far-away feel. If I had to choose just one word to name a quality that shines in the artistry of Robin Spielberg, it would be “heart.” In addition to her highly accomplished technique on the piano is a soulfulness that resonates on an emotional level with the listener. 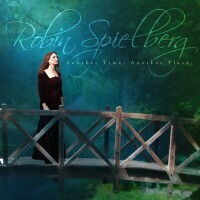 While the theme of this album is “time,” the music of Robin Spielberg is timeless”.